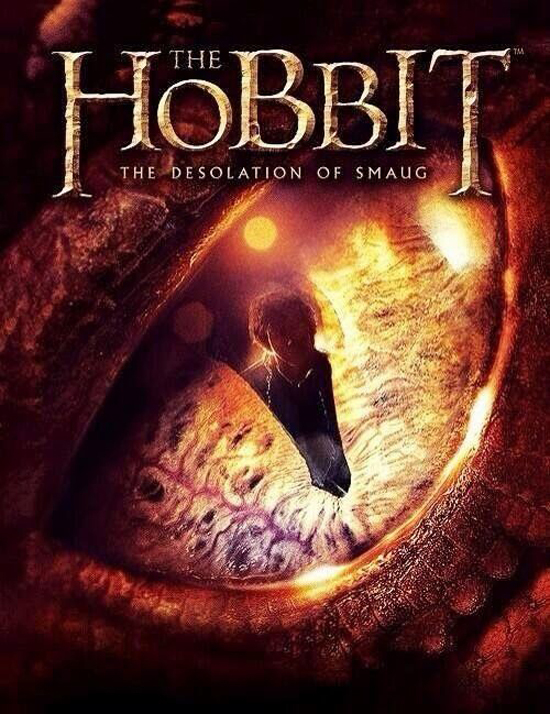 Check Out A New Poster for Peter Jackson's Sequel 'THE HOBBIT" THE DESOLATION OF SMAUG'! A new poster from Peter Jackson's upcoming sequel The Hobbit: The Desolation of Smaug has surfaced online [via TheOneRing.net]. Opening in 3D, 2D & IMAX theaters this December 13th, The Hobbit: The Desolation of Smaug is the second in a trilogy of films adapting the enduringly popular masterpiece The Hobbit, by J.R.R. Tolkien. The movie continues the adventures of Bilbo Baggins [Martin Freeman] as he journeys with the Wizard Gandalf [Ian McKellen] & thirteen Dwarves, led by Thorin Oakenshield [Richard Armitage] on an epic quest to reclaim the lost Dwarf Kingdom of Erebor. I'm reading: Check Out A New Poster for Peter Jackson's Sequel 'THE HOBBIT" THE DESOLATION OF SMAUG'!Tweet this!